The I Newspaper is an extremely popular news publication across the UK with growing interest over the last few years due to their impartial stance and concise approach to delivering news. As a growing brand The I are always looking to market themselves as witty and thoughtful, in external and internal communications. 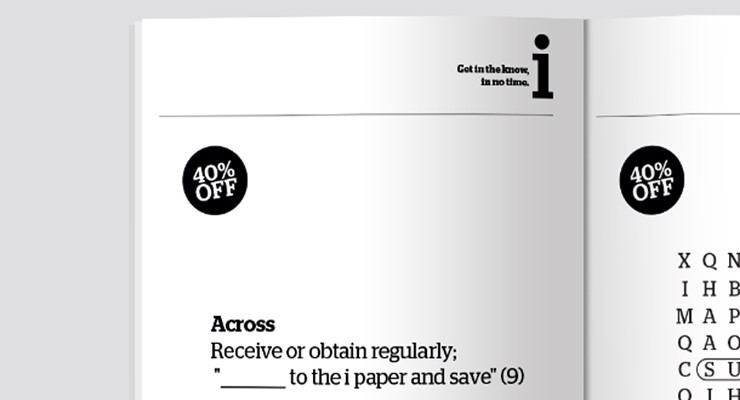 The 3 projects in this section of the portfolio serve one important cause for the I newspaper, encouraging subscriptions. 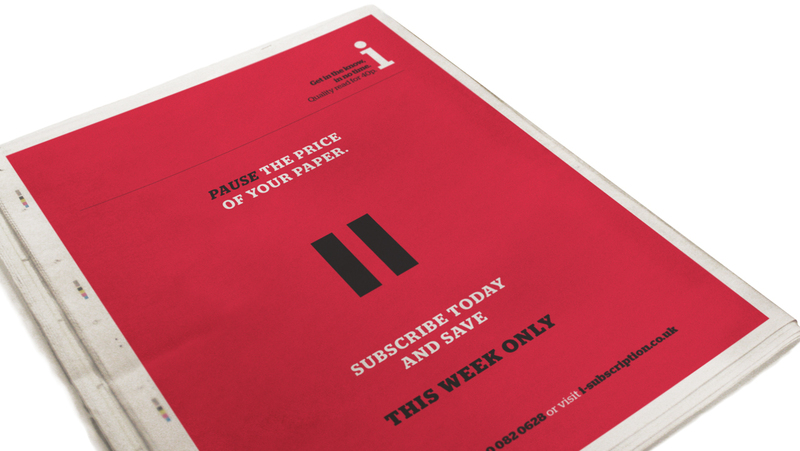 Two of the adverts were to be featured within the paper itself encouraging the casual reader or even persistent buyer to subscribe to the I newspaper and save money on their daily read. 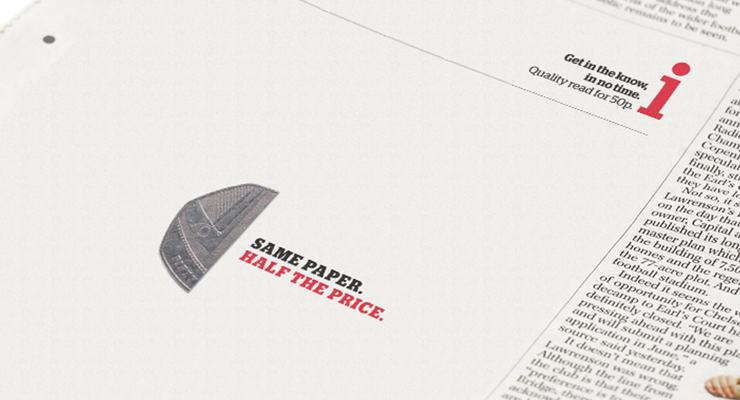 Variations in the style of advert between the two were due to the sub offer. 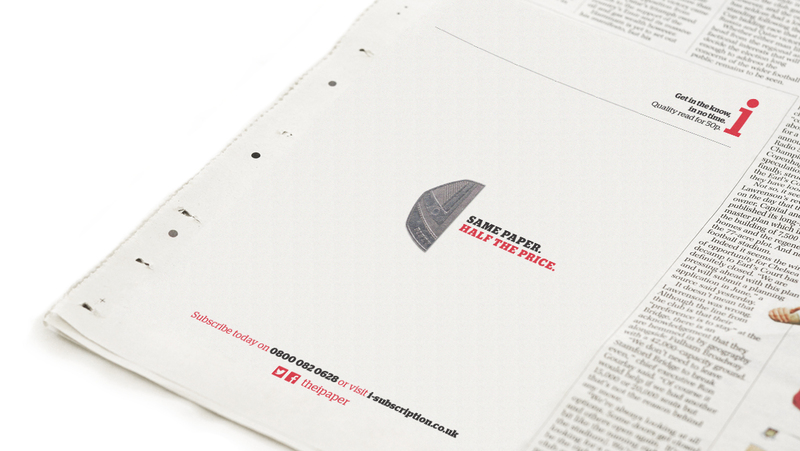 The half 50pence piece creative was to signify the saving of 50% when you subscribe whilst still getting all the same information. 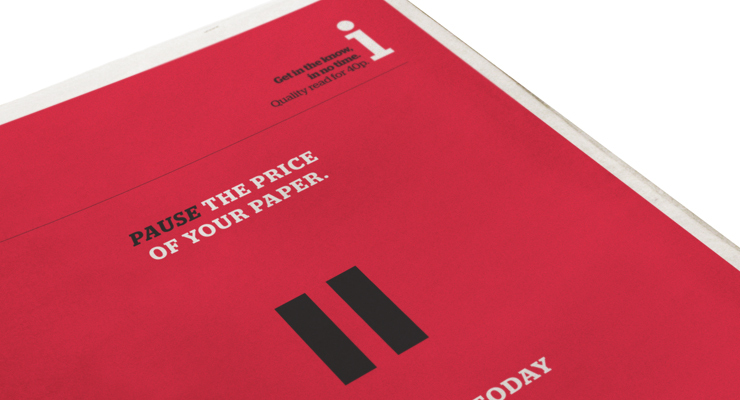 The red pause advert was to encourage people to subscribe as quickly as possible to freeze the price of their subscription before the price of the paper went up by 10p. 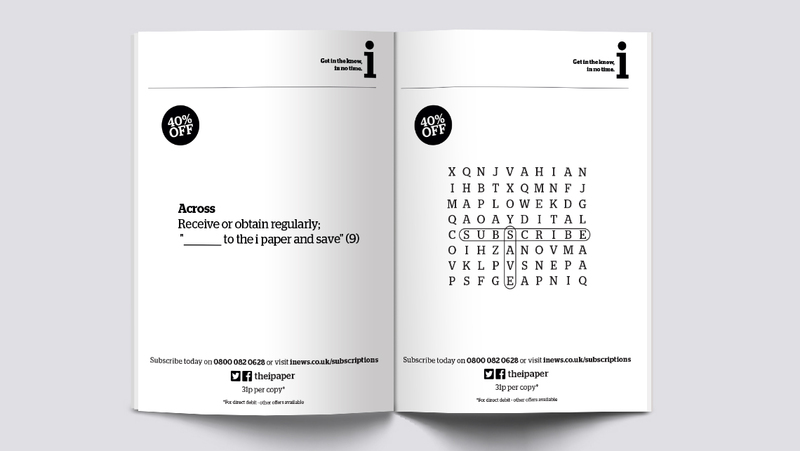 The final advert was to direct readers of a puzzle book towards the subscription page by engaging them with a relevant creative concept.